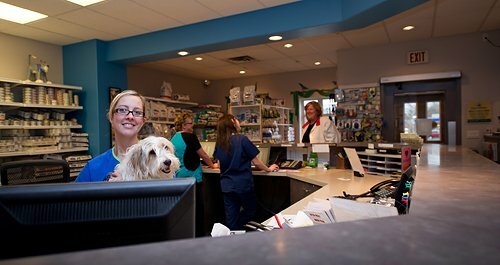 WHAT ARE THE ADVANTAGES OF BRINGING MY PET TO A VETERINARY HOSPITAL WITH EIGHT VETERINARIANS AND MANY MEDICAL STAFF? You may think that a small veterinary practice with one veterinarian and few staff will be able provide more personal care for you and your pet. THINK AGAIN. 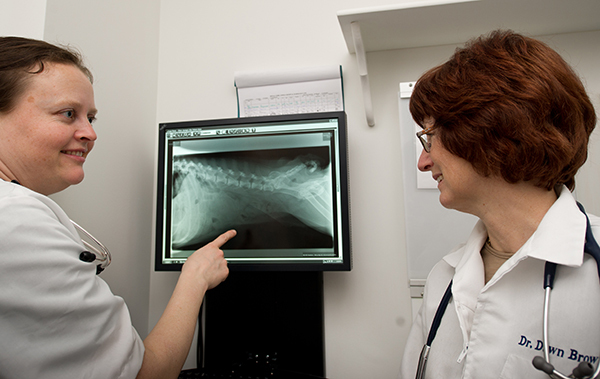 1.At Royal York Animal Hospital in Etobicoke, we encourage you to see ONE Veterinarian for CHECKUPS, VACCINATIONS and any other WELL PROCEDURES. 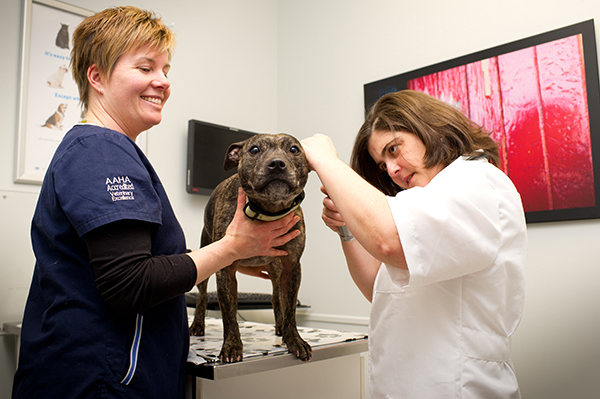 We recognize that it is important to have a trusting relationship and your pet to bond with an individual doctor. (we can help you choose the best fit). This veterinarian is your “ Pet’s family doctor”. It is simple to book all your appointments with this veterinarian and there is lots of choice of times as all our veterinarians work varying shifts to allow morning, afternoon, evening or weekend choices. 2. EXTENDED VETERINARY HOURS mean that WE ARE HERE WHEN YOU NEED US. It isthe most stressful for you when your pet is ill or injured. We are open seven days a week (Monday to Friday 7am -9pm and Saturday and Sunday 8am to 5pm) Over a decade ago, we gave careful consideration to extending our hours. Our clients simply wanted us to be there when their pets were sick and injured. We wanted that too. In the year 2000 we built and moved into our new state of the art hospital (which is located behind where the old building was). We are fully staffed and open every day except statutory holidays. Longer hours require more staff to fill those hours! 3. WE KNOW YOUR PET no matter when you bring him in. If you pet is ill or injured you can be bring your pet to a familiar hospital where all your pet’s medical records are at our staff’s fingertips. The staff will recognize and welcome you and your pet will be less traumatized……even if it is Sunday afternoon or Thursday evening or 7am on Monday morning. We have been told that it is extremely comforting when a pet is ill to see a familiar face and to know that treatment and care is seamless between doctors and staff. 4. NEED A SECOND OPINION FROM A VET? Two (or three!) heads are better than one. Our Etobicoke veterinarians and technicians are always eager to lend a hand to each other and to offer advice to benefit the pets in our care. Each day during “rounds” the doctors discuss the plan of each hospitalized patient in our care with the other doctors. Pet x-rays, blood work and all diagnostics are reviewed and discussed. The original treatment plan is agreed to by all or amended after the discussion. We believe that this communal approach to medicine offers your pet the very best in veterinary care and keeps our veterinarians learning and sharing with each other all the time. 6. Boarding and Professional Grooming for dogs and cats available 7 days a week. We are Your Veterinary Medical Health Care Team! They sent me flowers when I had to put my cat to sleep, because of cancer , They where very good to my family.